Our set-up for the race near the Competitive Loop (4 Peaks). Jason leading the pack of Intermediate Single Speeders. Antonio after his first lap. Mara on her first lap. Mara came in third (over 14 girls) in her category (13-14 yo girls)!! 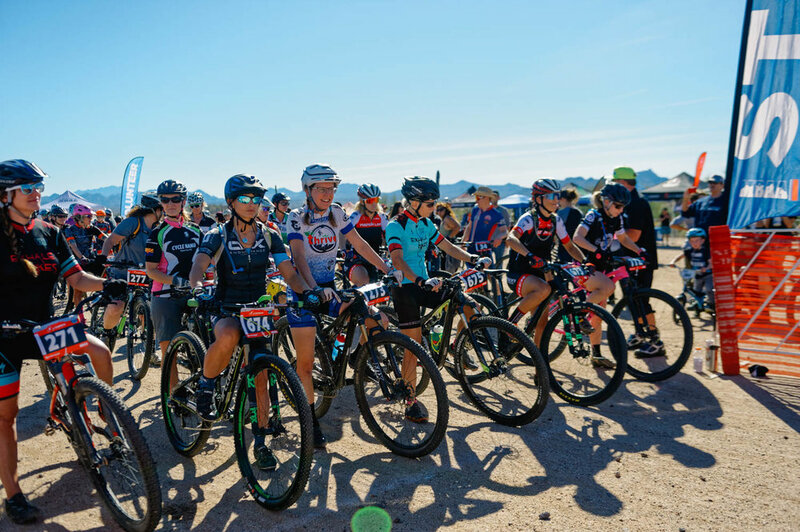 Last year, the McDowell Meltdown was JF and Mara's first ever bike race. You might remember that they had registered just for fun. This year, they came in a little more prepared (but not super well-trained since they both got a nasty bug over the holidays). They still did great and had a good time. Some of you have asked why Aisha and Mathilde did not do the race. The answer is that they simply didn't feel like it. They might or might not ride the other races in a few weeks. Our girls are free to choose, of course! As for me, I'm not interested in racing (nor am I in racing shape!). 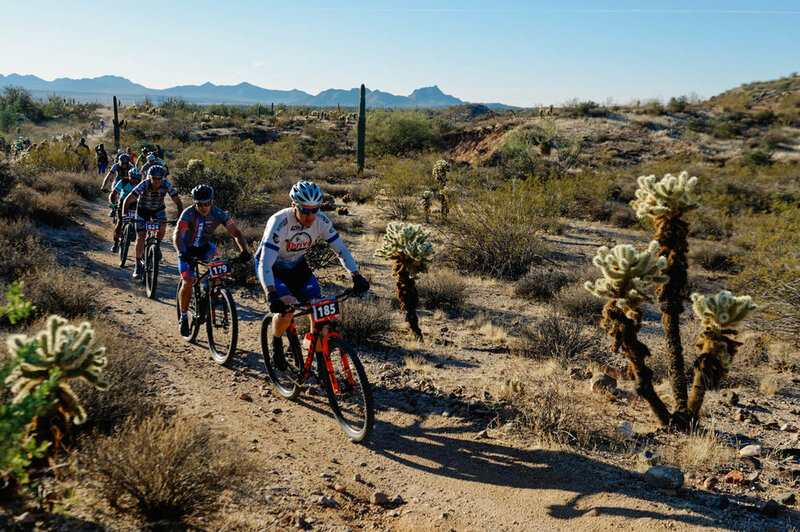 We had never stayed at the McDowell Mountain Regional Park campground (we rarely pay for campsites), but this was well-worth it since they could pre-ride the course during the week and because there are also tons of trails that you can ride right from your campsite. We explored some trails, but there are still lots we haven't had a chance to ride. There are all types of trails, from wide sandy washes to steep rocky trails. The sites are huge and well-spaced, they all have power and water ($30), but make sure you reserve in advance online because they fill-up pretty quickly at this time of year. If the campground is full, there is an overflow where you can stay for $20/night with no services, but access to showers and dump station.